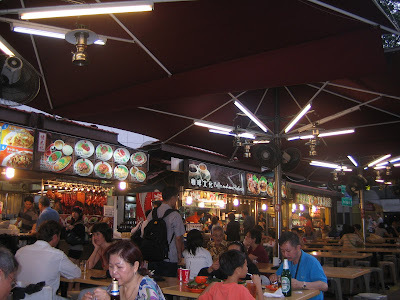 Singapore's Ultimate Hawker Food Lover - Wanted! It's been a month of silence over here at Our Taste of Life. As much as I've been wanting to update and share my thoughts through my online sanctuary, the time to do so is just very elusive (work-life is a bit tight these days). Then suddenly I realized, we are already in the month of May and that means I should be celebrating because it's the blog's 3rd year anniversary. And what a wonderful surprise gift I just received?!!!! 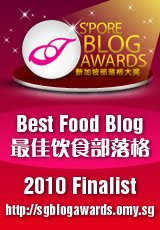 Our Taste of Life was chosen as one of the 10 finalists in the BEST FOOD BLOG category of Singapore Blog Awards 2010! I am simply lost for words on how happy and honored I was to receive such a recognition. To be selected in more than a thousand registered blogs and be in the select group of passionate foodies is already a price won. 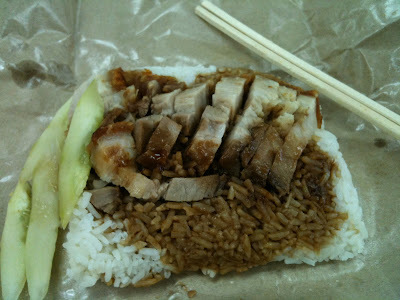 I've visited the other 9 finalists and all were steaming with delightful chows sharing the same passion for food. Thank you to everyone behind OMY for this honor. I am looking forward to the event.